Taqueria Cancun is only closed for a few days. 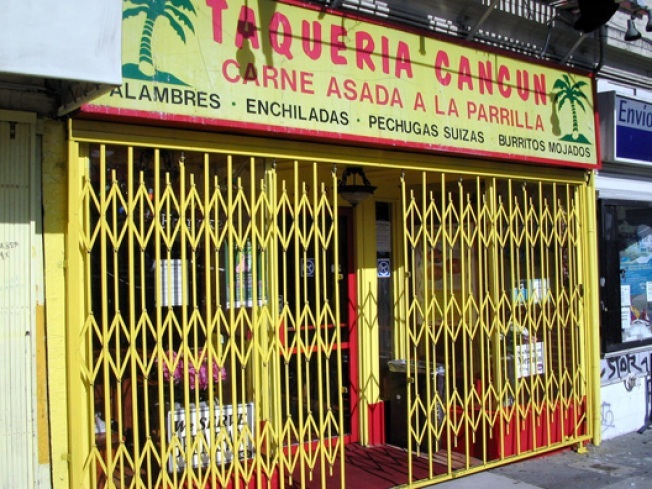 Popular blog Mission Mission notes that Taqueria Cancun, home to 733 Yelp reviews (all useful), is currently out of commission, sending waves of panic throughout the tight burrito community. But please note that the taqueria heavyweight isn't planning on staying dark. According to sources there, apparently a water pipe broke; they're trying to recover from the mini-flood and its subsequent floor damage right this second, with the hope to reopen by the weekend. Further updates as events warrant.